Looking for the Apple iPhone 3GS user manual? 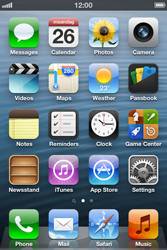 You can also find the manual on your Apple iPhone 3GS, via Safari, the bookmark symbol and then Phone User Guide. To be able to browse the Phone User Guide your Apple iPhone 3GS requires Internet connection.